Delta Computer Services has been serving the Arts & Leisure Industry for over 30 years and have installations in local authority, academic and private Arts facilities throughout the Country. Robust, Secure Comprehensive software to exactly meet the needs of your business. 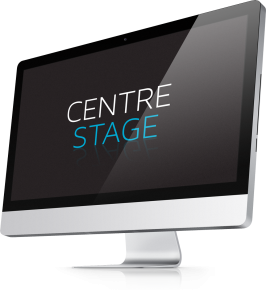 CentreStage allows you to operate a fast and efficient Point of Sale ensuring that customers are dealt with quickly and easily – even during busy peak periods. Detailed Patron/Membership data can be done either during the sale of the Patron/Membership, as part of the user’s first visit to the Venue, on line or during quieter times. Many Venues offer Courses and our Courses module provides a user-friendly easy way of enrolling ‘students’ on to one or many courses. When creating each Course this module allows you to structure the prices according to the user’s membership category. Several students can be enrolled on to multiple classes within the same transaction generating a receipt for each class booked. CentreStage will also handle all future bookings, as far in advance as you require, from the one-off special event to the multiple-date block booking often made by schools for example. Details of any future booking, including those for multiple activities and dates, need be entered only once, saving considerable administration time. CentreStage’s Reporting Suite includes several Analysis modules allowing you to make business decisions based on, for example, the Advanced Sales, Event Sales, Income by Show, Seat Breakdown by Show, House Analysis and Internet Statistics. We recognize that every Organisation has different reporting requirements so our Customer Support Team are here to help, providing customized reports free of charge. Friendly staff offering a 75% first call fix. Users can book ‘online’ any time of day or night.